29 January 1913-3 August 1914: Fahnenjunker in 7. Rheinisches Infanterie-Regiment Nr.69. 3 August 1914-29 August 1914: Platoon Leader in I./Infantry Regiment 69. 29 August 1914-3 September 1914: Company Leader in Infantry Regiment 69. 3 September 1914-8 December 1914: Wounded/in hospital. 8 December 1914-28 July 1915: Transferred to Reserve Infantry Regiment 257. 28 July 1915-23 June 1917: Adjutant of I./Reserve Infantry Regiment 257. 23 June 1917-7 October 1917: Company Leader in Reserve Infantry Regiment 257. 19 November 1917-9 December 1917: Temporary Regimental Adjutant of Reserve Infantry Regiment 257. 22 December 1917-26 March 1918: Temporary Regimental Adjutant of Reserve Infantry Regiment 257. 7 May 1918-10 June 1918: Temporary Adjutant of the 77th Reserve Infantry Brigade. 12 August 1918-22 August 1918: Temporary Adjutant of the 77th Reserve Infantry Brigade. 10 September 1918-11 September 1918: Temporary 2nd General Staff Officer of the 77th Reserve Division. 11 September 1918-6 October 1918: Temporary Adjutant of the 77th Reserve Division. 7 October 1918-16 March 1919: Ordnance Officer in the V Army Corps. 16 March 1919-1 April 1919: Transferred back to Infantry Regiment 69. 15 September 1919-3 January 1921: Regimental Adjutant of Reichswehr Infantry Regiment 16. 3 January 1921-12 May 1921: Detached to the 6th Division. 12 May 1921-1 October 1921: Detached to III./Artillery Regiment 6. 1 October 1921-1 October 1922: Transferred to Cavalry Regiment 16 and detached to Assistant Leadership training with the staff of the 6th Division. 1 October 1922-1 October 1927: Transferred back to Infantry Regiment 16. 1 October 1927-1 October 1930: Company Chief in Infantry Regiment 16. 1 October 1930-1 October 1931: Detached to the staff of Group Command 1. 1 October 1931-1 April 1933: Transferred to Infantry Regiment 9. 1 April 1933-1 October 1934: Auxiliary Officer on the staff of Group Command 1. 15 October 1935-26 August 1939: Commander of I./Infantry Regiment 64. 26 August 1939-14 May 1942: Commander of Infantry Regiment 60. 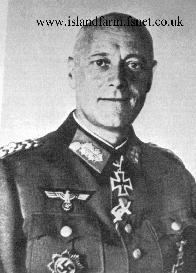 15 July 1942-15 September 1942: Service with Oberfeldkommandantur [Higher Field Commander] 365. 15 September 1942-1 June 1944: Commander of the 370th Infantry Division. 1 June 1944-3 July 1944: Führer Reserve Army High Command. 12 June 1944-8 July 1944: Course for Commander Generals. 3 July 1944-26 July 1944: Delegated with the temporary command of the XXXXVI Panzer Corps. 20 August 1944-30 September 1944: Delegated with the command of the XXIV Panzer Corps. 30 September 1944-25 March 1945: Commander of the 389th Infantry Division. 25 March 1945-29 March 1945Führer Reserve Army High Command. 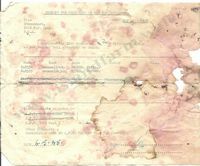 29 March 1945-5 April 1945: Injured in an air attack/in hospital in Neutief. 5 April 1945-27 April 1945: Commander of Defence Area Bremen. 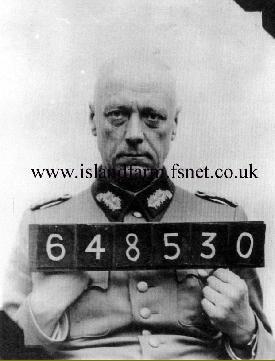 27 April 1945-6 October 1947: British prisoner of war. 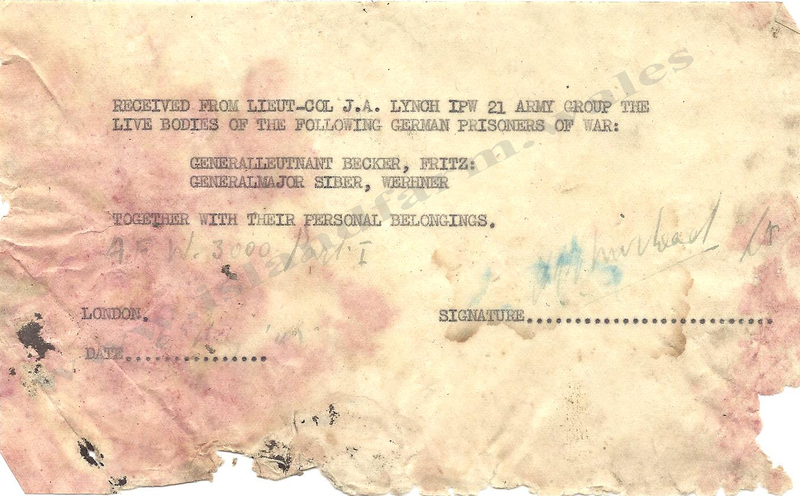 6 October 1947-6 January 1948: Discharged out of captivity, but later interned. 6 January 1948: Discharged from internment. Knight's Cross of the Iron Cross: 6 April 1943, Generalmajor, Commander of the 370th Infantry Division. German Cross in Gold: 22 November 1941, Oberst, Commander of Infantry Regiment 60. Prussian Iron Cross, 1st Class (1914): 29 October 1916. 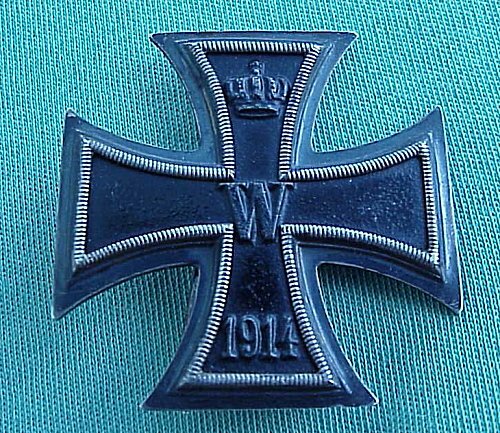 Prussian Iron Cross, 2nd Class (1914): September 1914. 1939 Bar to the Prussian Iron Cross, 1st Class: 3 June 1940. 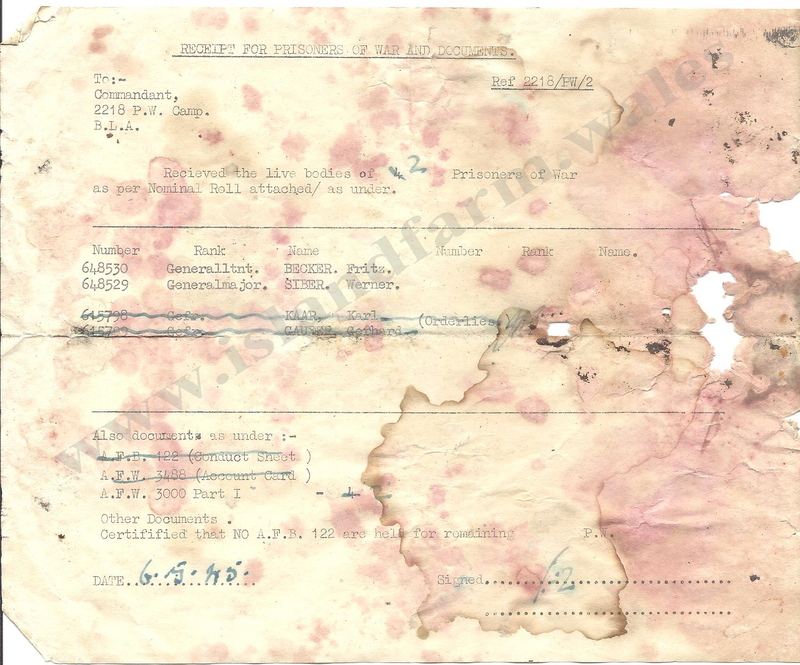 1939 Bar to the Prussian Iron Cross, 2nd Class: 24 May 1940. Medal for the Winter Campaign in Russia 1941/1942 ("East Medal"): 3 September 1942. Cross of Honor for Combatants 1914-1918: 13 December 1934. Armed Forces Long Service Award, 1st Class (25-year Service Cross): 29 January 1938. Infantry Assault Badge in Bronze: 24 November 1941.